Oncorus’s armed oHSV selectively infects and replicates in tumor cells, eventually causing tumor cell lysis. Upon lysis, multiple “personalized” tumor antigens and therapeutic immune modulatory payloads are released into the local environment. 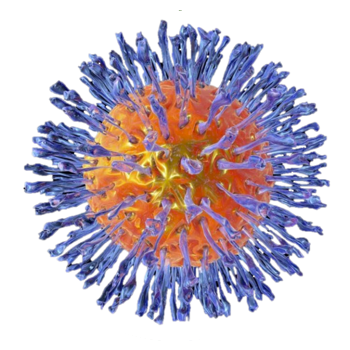 Neoantigens and immune payloads stimulate and recruit immune cells to destroy local and distant tumors, resulting in a highly effective cancer therapeutic treatment. Our platform provides potent oncolytic immunotherapies for malignant and benign tumors.